(HARLINGEN) – Christopher Martinez is pursuing a certificate from Texas State Technical College in Vocational Nursing. The Harlingen native, who holds a 3.5 grade-point average, expects to graduate in Summer 2019. 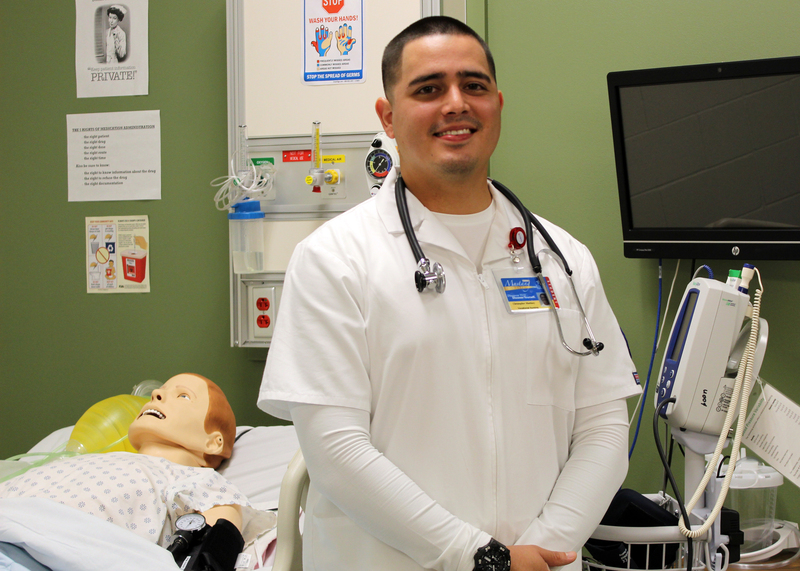 The 26-year-old said nursing is something he has wanted to do since he was a child because it allows him to help others and make a difference in lives. After I graduate I hope to find a job in my field and return to TSTC to pursue registered nursing and earn my associate degree. My dream job is to become a traveling nurse, working in different hospitals in different parts of the country, and working in either an emergency room or cardiology department. My greatest accomplishment while at TSTC has been maintaining my GPA in a program well known for its challenging and competitive nature. The greatest lesson I have learned is that I am my own worst critic. I’ve learned to not be so hard on myself and be more confident in what I do. Who at TSTC has influenced your success the most? I cannot just name one person, everyone in advisement and the vocational nursing program has influenced my success. Advisement was my stepping stone into this college and advisors have never led me wrong and I admire the experience and knowledge of the faculty in my program. My advice for future TSTC students is to be dedicated to your chosen career and path. This will take you a long way.